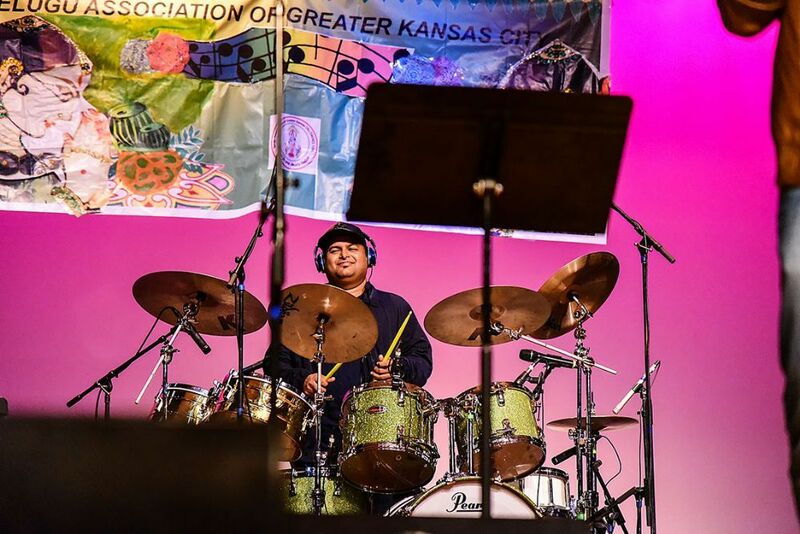 Tollywood music director SS Thaman gave a live concert in Kansas City that was presented by Telugu Association Of Greater Kansas City (TAGKC) recently at Blue Valley Southwest high school. Noted singers Deepak, Geetha Madhuri, Sameera, Sri Krishna and Deepu also took part in the event and enthralled the audience with their performance. House full of telugu audience, around 600 music lovers from Kansas City area attended and enjoyed the music concert and enjoyed with singing, dancing and cheering along with the artists. Even Americans who were present at the concert went onto stage and danced for the mass numbers of SS Thaman. TAGKC President Srikanth Ravikanti thanked all the sponsors, executive committee, trust board and the audience for supporting and making the event a grand success. They also appreciated the Bone Marrow drive conducted at the event.